Tree bark fleece from Uganda is said to be the most ancient textile in the history of humanity, the direct ancestor of nowadays non-woven textiles. When researching for the Hello Materials Exhibition at Danish Design Centre back in 2011 I stumbled upon this fascinating bark material also called ’The Cloth og Kings’ and got in contact with the Ugandan-German family run venture BARK CLOTH® – the pioneer of systematic bark cloth development and production, cooperated with small-scale organic farmers from Uganda since 1999. Until the end of the 19th century, the most precious bark cloths were exclusively reserved for the monarchs of the nearly millennial kingdom of Buganda. In 2005, UNESCO declared the artisan production process of BARK CLOTH® a “Masterpiece of Oral and Intangib- le Cultural Heritage”, followed by its admission to the list of Immaterial World Cultural Heritage in 2008. 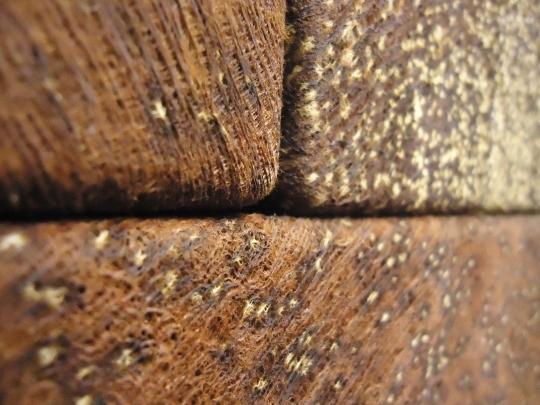 A close up on BARK CLOTH®. The material is cultivated from Mutuba trees (wild common fig; Ficus natalensis) on eco-certified farms in Uganda. 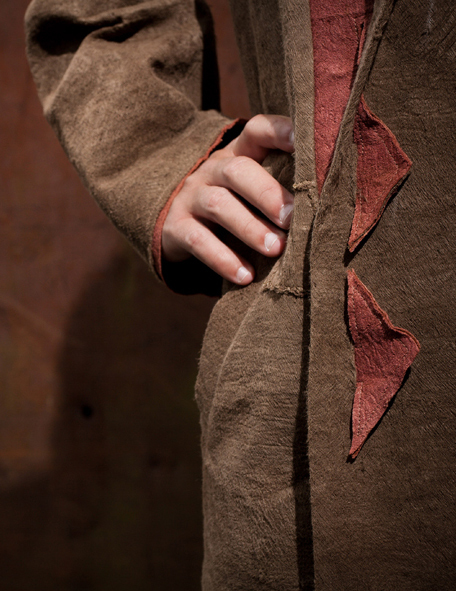 It is 100 % plant fiber, an authentic organic “living” cloth at the interface between textiles and wood. The permanently renewable bark is harvested every year without felling the tree. One full piece of BARK CLOTH® is made from the bark of exactly one tree. Therefore, each cloth is a unique specimen, telling you it’s own particular story — a simple and timeless. Used by designers and architects this ahead-of-its-time material is for purists who concentrate style and design down to the bare essentials. The cloth’s allure comes from its inimitable structure, a game played between its three-dimensional surface and its transparent character. The combination of archaic authenticity, state-of-the-art textile finishes, and modern range of uses yields a convincing, inimitable effect. No matter for which application BARK CLOTH® is used, you are sure to possess a unique masterpiece. BARK CLOTH® has been honoured with a number of internationally recognized industrial awards for material engineering, design and social innovation. Late October it was announced as one of the ten winners of LAUNCH: System Challenge 2013. As a part of the system challenge, LANNCH offers a platform to innovations, which have the potential to lead all sectors worldwide in sustainable systems, equitable economic growth, promoting the prosperity and renewing the earth’s resources. The jury awarded both the company BARK CLOTH® and its biocomposite material BARKTEX® , an economically, ecologically and socially sustainably produced fiber material at the interface between wood and textiles, which is derived from rapidly regrown bark. Find more information on BARK CLOTH® here. LAUNCH – an initiative started by NASA, USAID, Department of State, and NIKE in 2010 – unites global industry leaders and regional innovators to identify and scale sustainable innovations in materials. They set up challenges to identify and accelerate innovations that will change the world and has by now put focus on water health energy and waste. 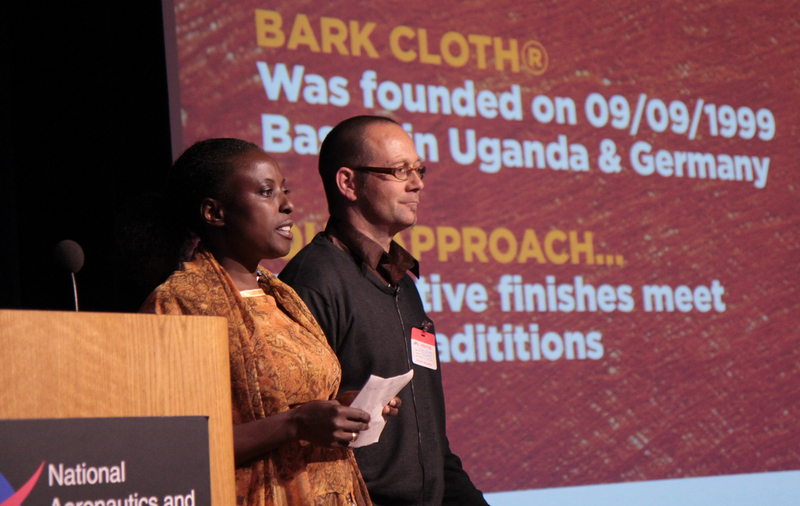 Mary Barongo-Heintz and Oliver Heintz presenting BARK CLOTH® at LAUNCH in September 2013. What has been going on in the US for some years now, putting focus on changing systems within making and materials has now also reached the Nordic. The initiative to introduce the Nordic region in the global LAUNCH collective was taken by a project group consisting of Leaderlab, Danish Design Center (DDC), Copenhagen School of Design and Technology (KEA) and Danish Fashion Institute (DAFI). LAUNCH Nordic acts as an integrated but also independent initiative, allowing the Nordic initiative group and founding partners to tailor the system challenges and events to the Nordic context. It will take the benefits and capacity of the global LAUNCH platform and bring it to the Nordic region. In a previous post here at Hello Materials Blog we presented LAUNCH and the LAUNCH Nordic Challenge 2014. 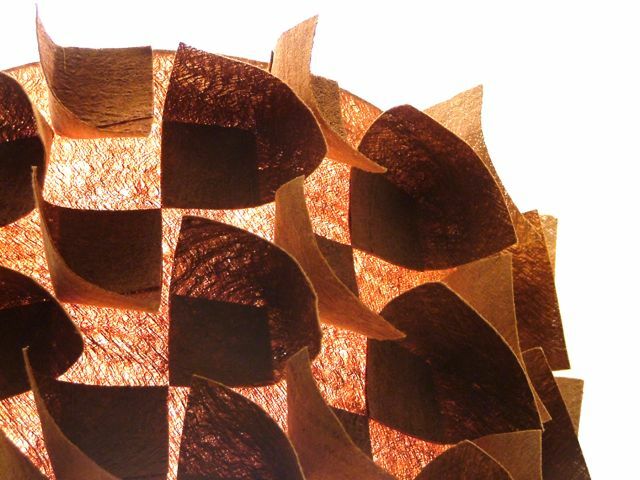 This entry was posted in Material Innovation and tagged bark material, fabrics, fibres, LAUNCH, materials, Mutuba tree, non-woven textiles, plant fiber, sustainability, sustainable change, Sustainable solutions, sustainable textiles, system challenge, textiles. Bookmark the permalink. Maria! great posting about this material. I was recently reading the Dr. Sascha Peter’s book Material Revolution part 1 and saw it posted, but didn’t realize the interesting part of the bark cloth as a unique piece because of its single-tree extraction. That is outstanding! I will repost! Read more at the blog! (highly recommended).